I found my way into curating an as exhibition contributor. 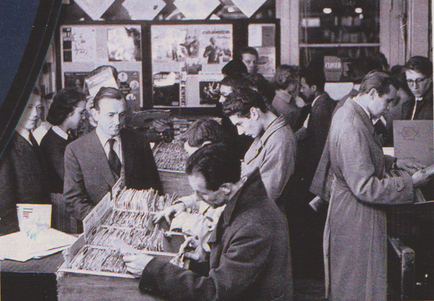 I had started an online archive of British record shops and this lead to the exhibition. Various incidents of coincidences and new information occurred while setting up and putting on the exhibition at Chelsea Space. Below are those incidents with the images that evoked those memeories that I now recall for this archive The total attendance over the six week period was 1,166. I would like to thank all those who came and took part in the events that took place. Saga Magerzine In the last week before the show I was picking up items from Don ( former Shop Manager) and Mon Solash (step daughter Doug Dobell). Mon showed me a copy of Saga Mag which had an article on popularity of record vinyl sales today. ‘A groovy kind of love ‘ by Mark Ellen the photo included was a Dobells photo . 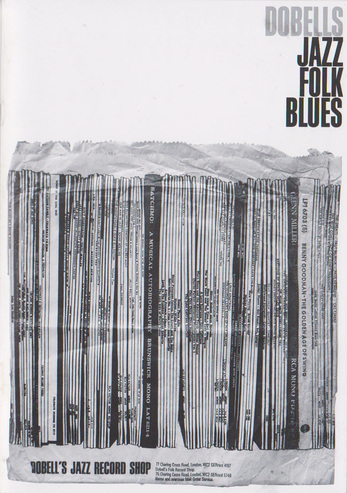 Dobells Jazz Folk Blues Publication The excellent publication produced by the Gallery with Graphic layout by Syd Shelton who once lived above Dobells 77 Charing Cross Road and visited the shop regularly. 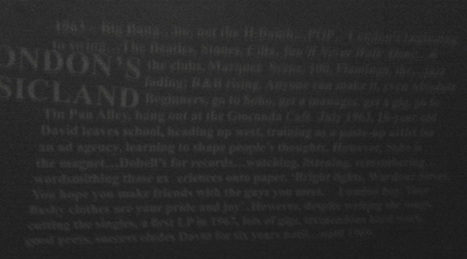 Syd even found the original font lettering used by Dobells on their shop bags. 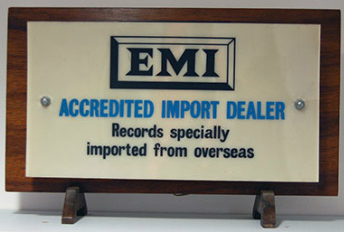 This was used in the publication title for the gallery book. To purchase a copy click on image for link. I was emailed by a curator of the David Bowie exhibition at the V&A that came to run concurrently with the Dobells exhibition. 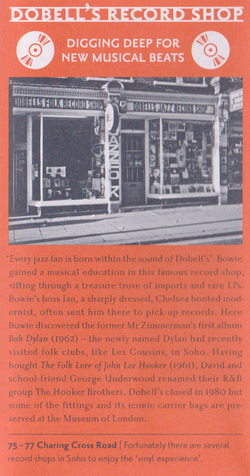 Unknown to me Bowie had visited Dobells in the 1960’s as a customer. The V&A had commissioned a map showing the places Bowie visited in Soho. 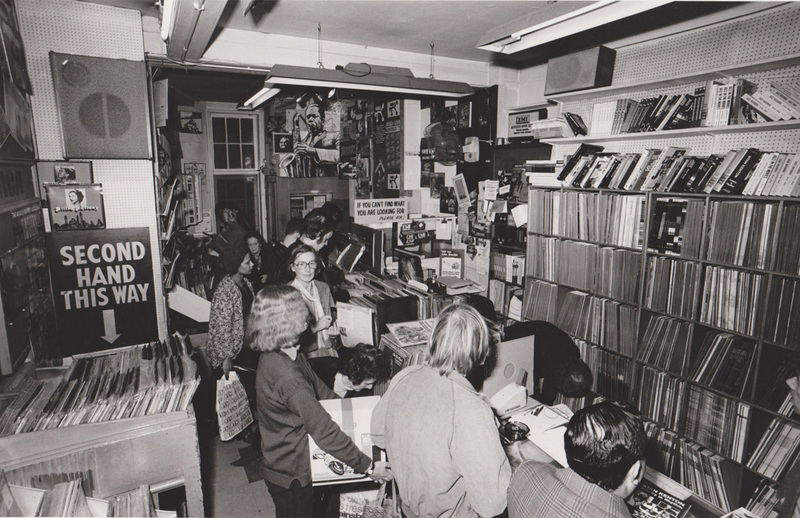 A shop photograph of Dobells from 1975-77 Charing Cross Road was used in an excellent map showing those places he went. National Jazz Archive and Digby Fairweather came and did an afternoon open deck session. 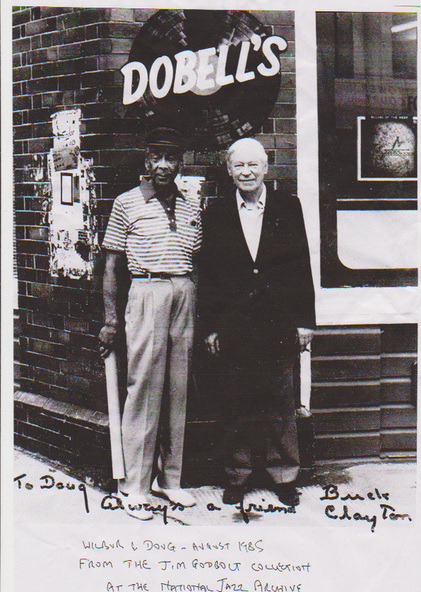 They had just received a collection of memorable from Jim Godbolt (recently deceased) Sitting on top of the first pile was a photo of Doug Dobell and Buck Clayton outside 21 Tower Street which also shows a wall plaque Of a record with Dobells in text across it.